Kansas voters elected a new governor, Democrat Laura Kelly, who wants to promptly expand Medicaid eligibility, resolve a long-running lawsuit with more school funding, and address a crisis in the state's foster care system. But her ability to fulfill that agenda will depend on how willing a more conservative Legislature is to work with her. 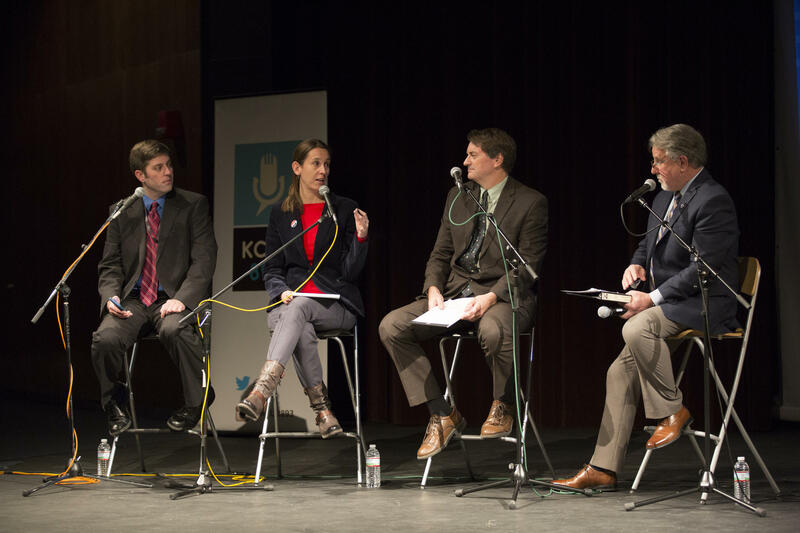 Following an on-stage conversation with the governor-elect, My Fellow Kansans host Jim McLean was joined by Washburn University political scientist Bob Beatty and Kansas News Service reporters Stephen Koranda and Celia Llopis-Jepsen for a live panel discussion of the dynamics heading into the 2019 legislative session. Beatty, armed with insights from a Fox News exit poll, said voters are looking for their elected officials to chart a center path.